Appalachian Sedge For Sale Online. Wholesale Prices. Appalachian Sedge: A Romantic Plant That’s Great For Ground Cover. Appalachian sedge (Carex Appalachia) is naturally found as far north as the Canadian provinces of Ontario and Quebec, and as far south as the great American state of Georgia. People can also find plenty of Appalachian sedge growing in New England, Tennessee, and even Kentucky. This sedge has a very romantic texture, mainly as it flows with the breeze. Many people think that Appalachian sedge closely resembles the surface of the human hair. 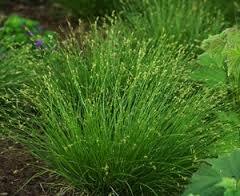 This thick green beautiful sedge grows best in areas that are very dry and have a great deal of shade. The leaves of Appalachian sedge can grow as high as 12’’ to 18’’. As said earlier, these leaves are wonderful, with a width of only 1/8’’ for each strand. However, since these leaves droop, you can expect that they will only reach a height of 6’’ in a pot. For anyone planting Appalachian sedge in the ground, this plant should be cut every year right before winter. This plant starts flowering every year around May. Another great thing about Appalachian sedge is that it is entirely pest resistant and many herbivores do not like its taste. Many people use this plant to promote soil stabilization and to control erosion. 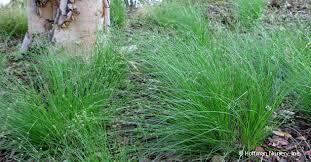 People also use Appalachian sedge as a ground cover to stop weeds. Appalachian Sedge is native to Eastern North America. The leaves have a subtle texture that adds airy movement to any garden. This bush can grow up to 10 inches tall and 12-18 inches wide. Appalachian Sedge is also known as Carex Appalachia. Hardy planting zones are 3-7. The growth rate is up to 8 inches per year. This plant can be grown in the shade and is drought tolerant. This Sedge offers soil stabilization to prevent soil erosion. Aging sedge should cut back in the late winter to ensure springtime flowers. This Sedge is beautiful as a single plant in a container or as a group landscaping. It makes an excellent ground cover or edging in rock gardens as well. It requires very little maintenance and prefers dry soil with partial shade.